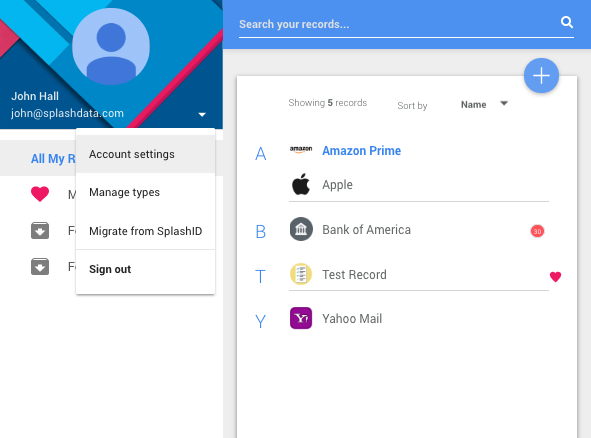 Note: Before you are able to set up Motive Ring as your 2FA option in Gpass, you'll want to make sure your Motiv Ring is set up as 2FA on Google. 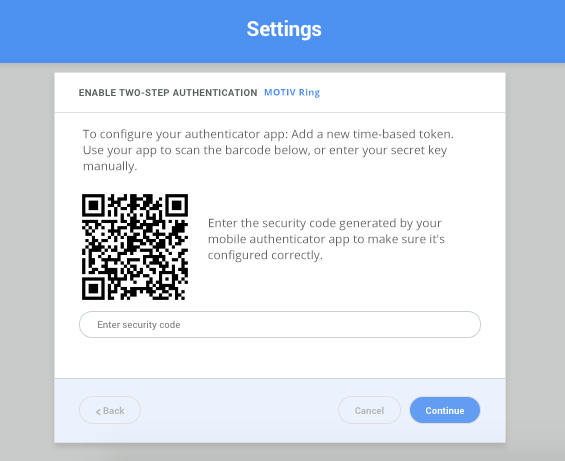 Follow these steps to set up the Motiv Ring as a second-factor authentication for your Gpass account. 1. Go to your Account Settings section of your Gpass Web App, which can be found by clicking on the dropdown to the right of your name in the left hand panel of your dashboard. Select Account Settings. 2. Go to the Security tab in your Account Settings. 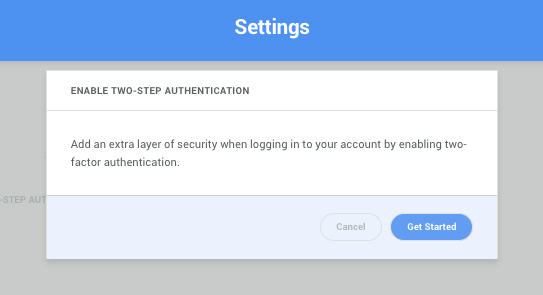 Enable two-step authentication by clicking on the button labeled Click to Enable in the security tab. 3. Click the button labeled in the enable two-step authentication pop up. 4. Choose the Motiv Ring option for your Gpass 2FA. 5. Scan the security code provided by you Motive Ring and click to continue was the security code has been entered.